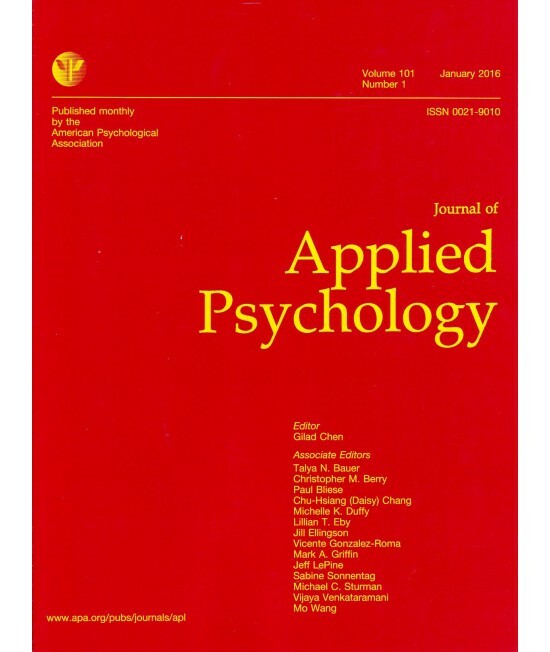 Journal of Applied Psychology - Philippine distributor of magazines, books, journals, etc. 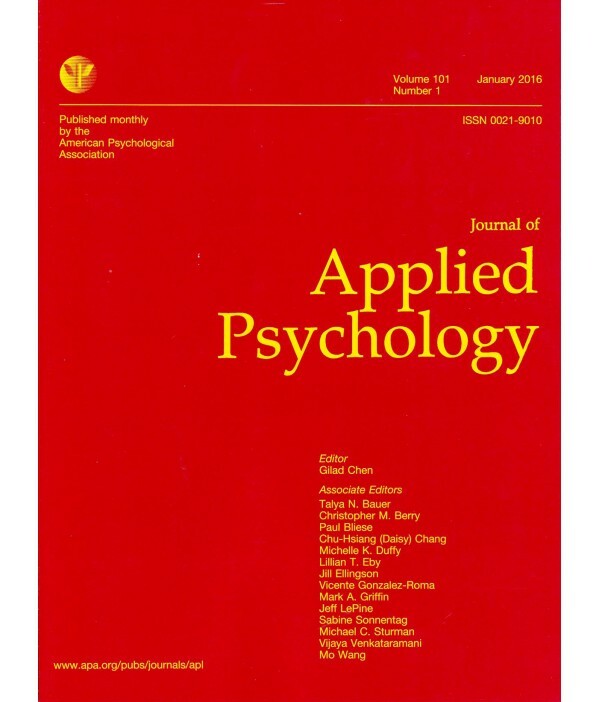 The Journal of Applied Psychology emphasizes the publication of original investigations that contribute new knowledge and understanding to fields of applied psychology (other than clinical and applied experimental or human factors, which are more appropriate for other American Psychological Association journals). 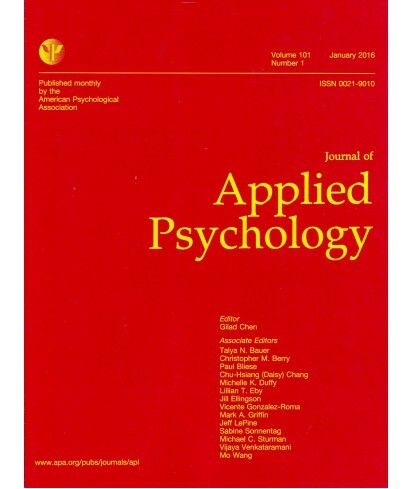 The journal primarily considers empirical and theoretical investigations that enhance understanding of cognitive, motivational, affective, and behavioral psychological phenomena. in the public or private sector, for-profit or nonprofit. Rigorously conducted qualitative research on phenomena that are difficult to capture with quantitative methods. 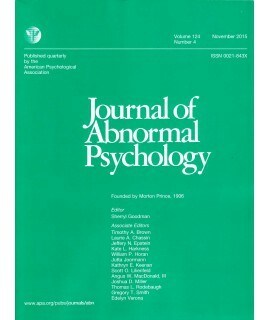 The journal accepts work that is conducted in the field or in the laboratory, where the data (quantitative or qualitative) are analyzed with elegant or simple statistics, so long as the data or theoretical synthesis advances understanding of psychological phenomena and human behavior that have practical implications. and organizational design, change, and interventions. 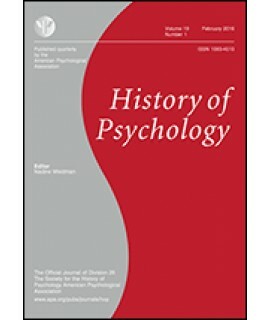 The journal also encourages studies of human behavior in novel situations. Specific topics of interest, however, change as organizations evolve and societal views of work change.